San Jose Del Cabo is located at the end of the Baja California peninsula. This place was found in 1930 during the time of the mission. The downtown in San Jose is lovely with adobe houses and jacaranda trees. The homes here which were in a very old and bad condition are now converted into stylish restaurants by the entrepreneurs. And also the government has enlarged the main plaza. It transports you into another world of ancient times but not depriving you of the modern amenities. The main, most popular and famous tourist point here is the Plaza i.e. the Main Square. At the mouth of the Estero San Jose, there is a sandy beach located. On this beach there 350 species of wildlife and vegetation. But this beach is just suitable for sightseeing, as no one can swim in this beach. This area is actually known more for its lushness, and so it is nevertheless a worthwhile trip. There are many amenities available here. One of the amenities is parking which is available behind the hotel holiday inn. This beach is best suitable for walking as well as for sunrise. The beach is a long stretch running in front of the hotels on the coast of San Jose Del Cabo is called as playa Hotelera. But one cannot swim in this stretch of sand, but once you come out of the hotel property this beach is then public. But one can always drop in into one of the hotels for some snacks or a sunset drink. One can also visit the Plaza Del Pescador, across the street for a meal at any of the restaurants. This beach always offers the locals to rent the horses for a beach side ride. At the west of this beach there is a play area for children, which also offers parking. 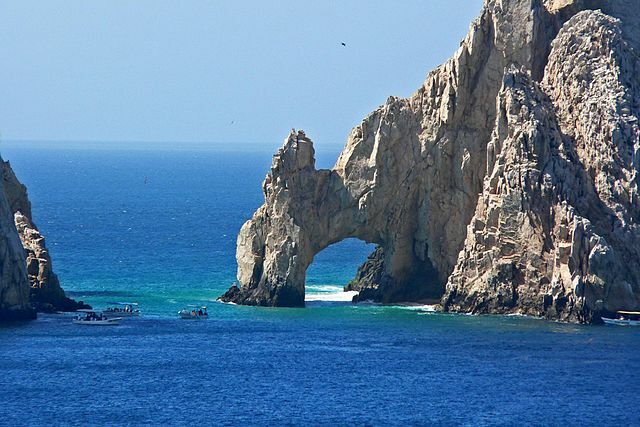 Cabo San Lucas has a much better exciting nightlife than San Jose del Cabo nightlife. It is a very nice thing for relaxation and enjoying a romantic evening with loved ones. Though the night clubs here are not in abundance but they still offer a very lively ambiance. Almost all hotels in this town offer live music and evening happy hours. Almost all of the hotels here give varieties of tropical music and typical Mexican music which gives a feeling of relaxation and enjoy to the utmost the Mexican atmosphere. In San Jose Del Cabo, shopping is a very popular and famous activity. It has a number of varieties of handicrafts and souvenirs at these shops. Most of the shops offering these are located at the main square and the church. There are a few modern shopping centres in town for the people who like fancy and modern things. There is everything that one would need in just a little walking distance. There are most interesting attractions in San Jose del Cabo. One of the main attractions is the wide golden sandy beaches that lie outside of the town. It starts from activities like exploring dessert vegetation and sea life to exciting activities like riding a horse or a motorcycle, etc. San Joes is filled with a lot of surprises and adventures. This place is a perfect spot to get in touch with nature because of its museums and exclusive reserves of different species from the plant and animal kingdoms. The place is also known for its beautiful, famous and sophisticated restaurants that serve delicious food. One can dine with the sea because of the open-air terraces and incomparable sea views. If you need a break from the quiet atmosphere of this historical town, dare to go on an adventure. Start with a Hydro fly Board, which is considered one of the top things to do in San Jose Del Cabo. Experience a personal flight lesson .This is the perfect place for your first jetpack experience and is sure to create memories of a life time for the entire family. Sore through a beautiful nature sanctuary on a zip line. For a wide range of tours and activities, visit Trancabo. Choose from city tours, adventures tour, whale watching, golfing or sunset cruising. You will have plenty of fish to grill at your private villa after a day out on the boat.